Viking is a handsome, black and white, 8-year-old male born November 9, 2006. His sire is Jimbo Scotty, and his dam is Press Pass, making Viking a sibling to Shiloh. 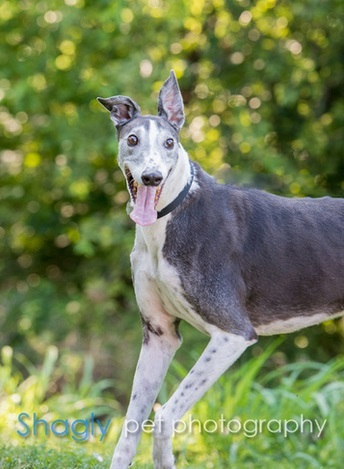 Viking has no races to his credit on Greyhound-Data.com, so like his sister, his just wanted to find his forever home. 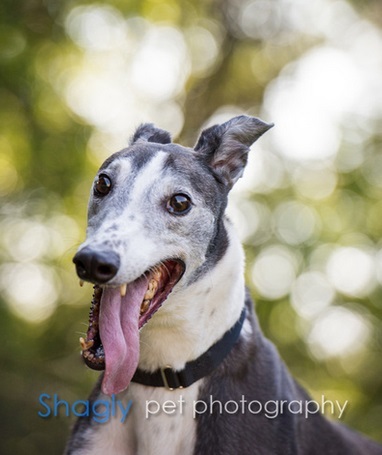 He was in a home for 5 years, but has returned to GALT to resume his forever home search. Viking tested cat intolerant at this time. Once he saw a cat, he was on full alert! He should also be watched very closely around small dogs. 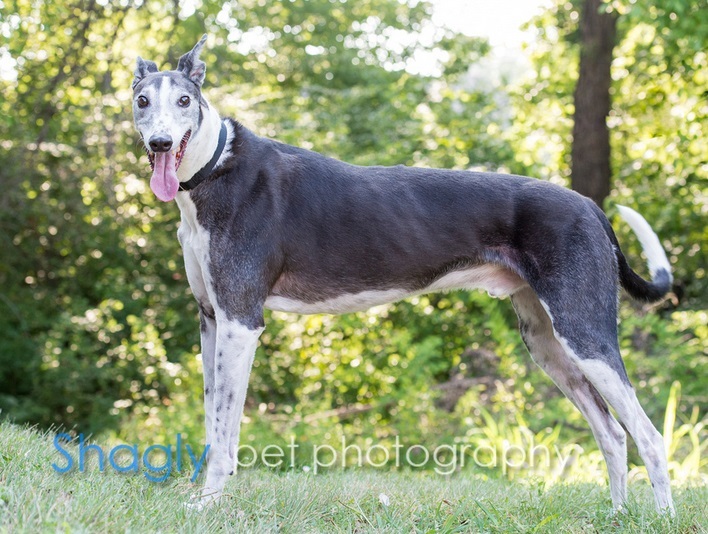 This big, strong handsome boy is ready for his forever home! His house manners are impeccable; he is very well behaved inside the house. He loves his bed and especially his stuffie toys! Viking is currently working on his outside manners. He LOVES going for walks, but needs to learn to walk with his human instead of trying to lead the way. He's very strong, so this is an important thing for him to work on. Viking is very alert and aware of his surroundings, especially when there is a squirrel in the area. Viking is much too interested in cats to be their friend; he is also extremely interested in the small dogs in the neighborhood. He would probably do best as an only pet or with another greyhound or large dog. He loves being around people and is very affectionate. He adores scritches and belly rubs. He's very food motivated and has never met a biscuit he didn't like.